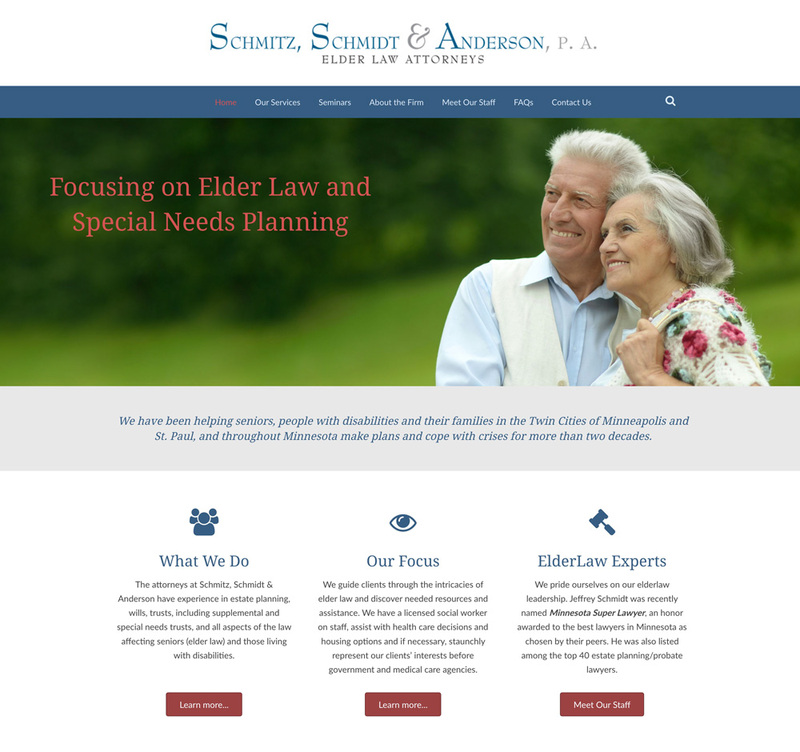 Schmitz, Schmidt & Anderson, P.A. has been helping seniors, people with disabilities and their families in the Twin Cities of Minneapolis and St. Paul, and throughout Minnesota, make plans and cope with crises for more than two decades. Innov8Press created a site design that delivers the confident look and feel a firm of their stature deserves and should project.